I love luxurious make up products. It gives me that extra luxurious feel. Mascaras don't really last long and expensive brand mascaras are probably at the bottom of my to buy list, actually. But when I saw there was a 40% discount on all luxurious mascaras, I couldn't help myself to buy Le Volume de Chanel..
Chanel promises volume (hence the name) and an intense curl. It will create a look whereby it seems like you have more and fuller lashes. It also promises to leave intense color on your lashes. Formula dries quickly and every desired volume is possible. The brush is made out of snowflake-like discs. These discs are placed very close to each other and are placed slantwise, according to Chanel. I have to say that I like the packaging, I don't love it, but I like it. It's sleek, it's not plastic-y at all, it is even a bit heavy. I think there is a layer of some sort of metal around it, because it feels kind of cold when you pick it up. On top of the cap there's the logo of the brand and on the packaging "CHANEL" is printed. Like I said, I like the packaging: it doesn't look cheap, it feels like a expensive mascara, but I don't love it as much as I love the packing of their Inimitable mascara. But luckily it is not all about packaging, but mostly about what's inside it. And I LOVE what's inside it! The brush separates my lashes and don't make them clump together. The formula isn't too wet, but not too dry. I doesn't wear my lashes down and gives them a good curl. The volume is quite buildable with this foundation, but when the mascara is starting to dry, it can look a bit clumpy. Here's how the mascara looks on my lashes. 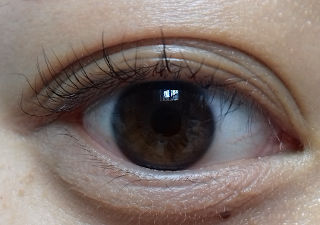 I have to say that the mascara is starting to dry out at this point and it's too bad I haven't written a review about it earlier. However, it still makes my lashes look nice. This is how my lashes look without mascara. The hairs are pretty thin and long. I'm looking for volumizing mascaras, I don't necessarily need more length. I intentionally didn't put any other make up on, so you can see how the mascara on itself looks and works. This is how my lashes look after one layer of mascara. As you can see it lifts and curls my lashes. The volume is pretty good for a first layer and I think you can leave it like this for casual days when you don't want or need very dramatic lashes. Here you can see how big the brush is. I think it's a pretty normal-sized brush. I like normal to small sized brushed, because with big brushes I often have the feeling that it can't reach the roots of my lashes and it's hard to reach the small lashes and the outer lashes. With these brushes I have the feeling I can reach every lash and the entire lash. 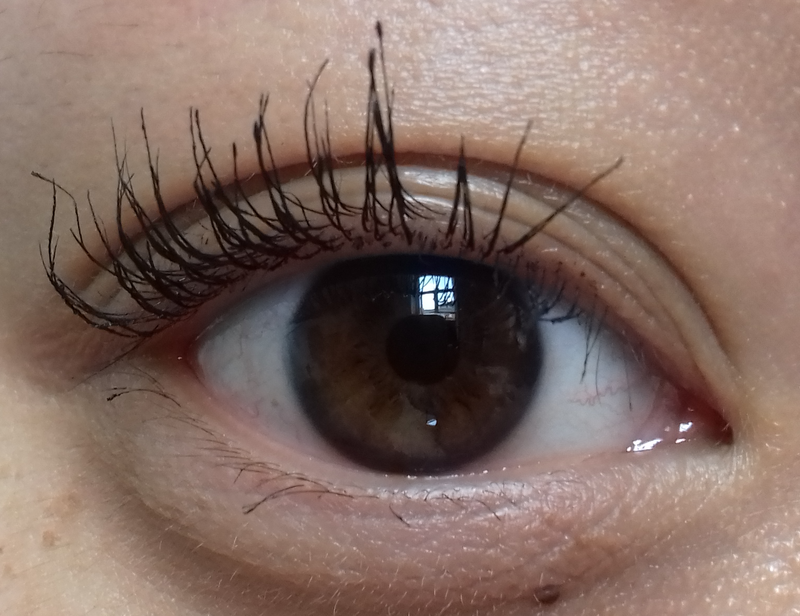 You can see it separates my lashes beautifully and gives my lashes a nice coat of mascara. This is how my lashes look with two layers of mascara. The mascara is a bit dry now (I have been using it for about 4 months now), but it still works fine. 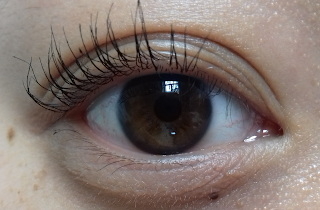 However when I put it on top of an other mascara (I usually use a combination of 2 mascaras on my lashes) it's starting to have a hard time covering the ends of my lashes due to the mascara starting to dry out. 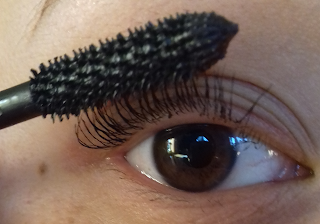 This is how the mascara looks on itself. As I told before, I usually use two different mascaras on my lashes. 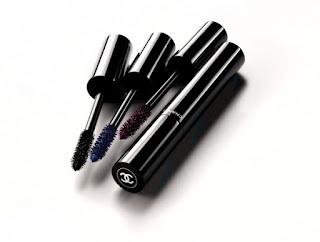 Right now I'm using the combination Maybelline the Rocket Volum' Express and the Le Volume de Chanel mascara. 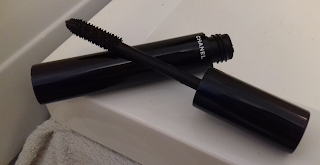 I first coat my lashes with one coat of the Maybelline mascara and then top it off with the Chanel mascara (one or two coats, depending on my mood and the clumpiness of my lashes). And because there already is a layer of Maybelline on my lashes, the ends of my lashes aren't as thin as after two coats of only Le Volume. I absolutely LOVE this mascara and I will use it until it's completely dried out (unless it passes the six months mark first ;-) ). Have you ever tried this mascara? What's your favorite mascara at the moment? Let me know so I can try that one too!